Every time I hear the song The Little Drummer Boy I cannot help to think of my mom. It was her favorite. Title of the Song: “Little Drummer Boy” was originally titled “Carol of the Drums” because of the repeating line “pa rum pum pum pum” which imitates the sound of a drum. Author: The song “Little Drummer Boy” is believed to have been written by Katherine K. Davis in 1941 based on an old Czech carol. Other names credited for this song are Henry Onorati and Harry Simeone. 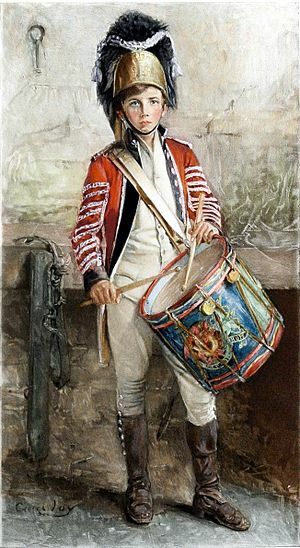 As a point aside drummer boys served in European and American (and perhaps others) Armies up and into the 20th Century. Here’s the Bing Crosby and David Bowie version. And a merry, merry Christmas to you! And to you and yours J. G.!